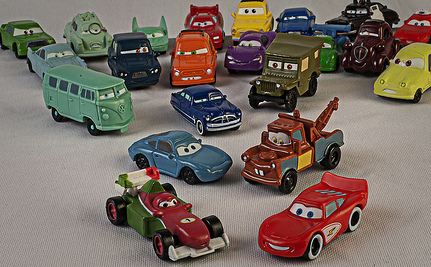 A Chinese factory that makes Disney’s best-selling Cars toys, as well as toys for Walmart and Mattel, uses child labor and forces its workers to work three times the amount of overtime required by law. And that’s only one of the many issues… when we outsource, don’t we still have responsibility? In our own countries, we have enacted laws that are aimed to prevent horrendous working conditions and child labour – those laws are not perfect and things can still go wrong, but as societies we have put those things in place. Now we outsource to countries that have no such laws (or don’t enforce them). In part, the cost of production locally is higher because of these laws. Are we, by shifting production overseas, saying that effectively companies want to not have those laws? The following story is not just about outsourcing, China or the US situation. As author Steve Denning writes, it’s been happening in Germany and elsewhere in Europe too, and it’s pretty clear Australia is in the same boat. This article does a very good job of painting the more complete picture that’s necessary to understand that’s actually going on, and why. The individual decisions appeared to make sense, at the time – however they created serious problems later: the US now can’t innovate on certain things (such as solar panels) because they no longer have either the research skills or the manufacturing capability for the components – they’ve long moved overseas, or just been outsourced. Gone. That’s something Upstarta cares a lot about: actions have consequences, and we don’t want to “create monsters”.